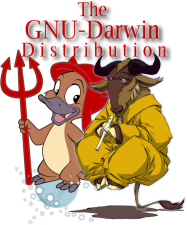 Included below are many of the thousands of internet sites; friends, partners, or resouces, without which The GNU-Darwin Distrbution would not be what it is today. Thanks! If you are still hungry for links after this list, there is also a list of related links. If you are still hungry for links, here is a list of related links.